Later this week, we finally get to see X-Men: Days of Future Past, but there's still two more big comic book movies coming late in the blockbuster season. 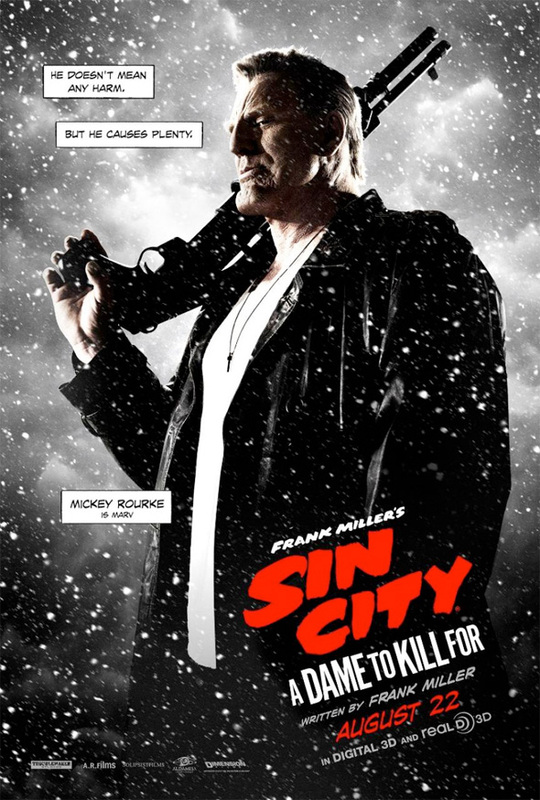 Guardians of the Galaxy hits theaters at the beginning of August (watch the awesome new trailer) and Sin City: A Dame to Kill For arrives a few weeks later. Now the latter film gets a small batch of five new character posters showing off returning cast members Jessica Alba, Mickey Rourke and Rosario Dawson and new residents like Joseph Gordon-Levitt and Josh Brolin. The only problem is these could just as easily be for the first film and you wouldn't know any better. 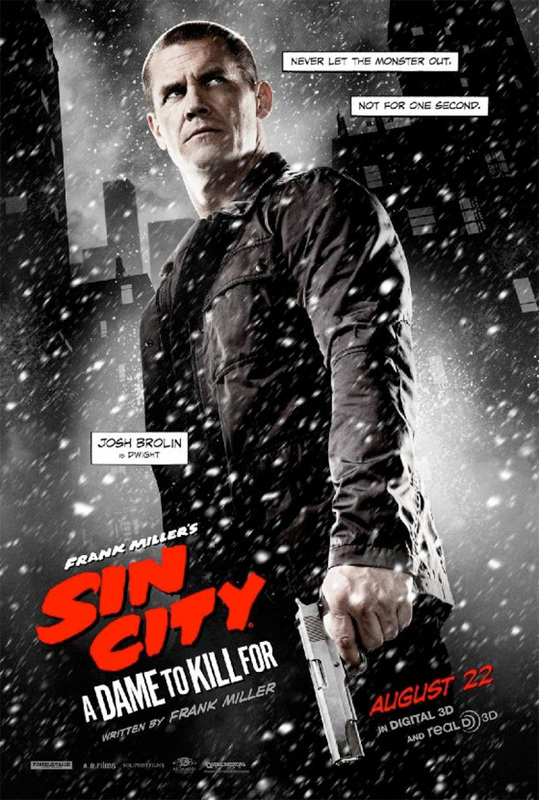 Sin City: A Dame to Kill For is directed by Robert Rodriguez who co-wrote the script with William Monahan (The Departed) and Frank Miller, creator of the graphic novel series and co-director of the first film. Dwight (Josh Brolin) is hunted down by the only woman he ever loved, Ava Lord (Eva Green), and then watches his life go straight to hell. 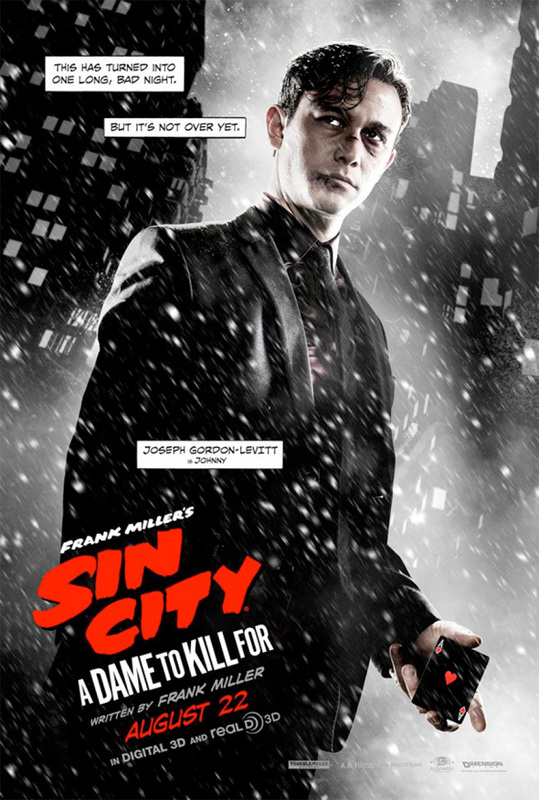 Chronologically, this story takes place prior to "The Big Fat Kill" (seen in the first Sin City) and explains how Dwight came to have a dramatically different face. Jessica Alba, Joseph Gordon-Levitt, Mickey Rourke, Juno Temple, Jaime King, Rosario Dawson and many others star in the film being shot in 3D and Dimension Films will send the sequel to theaters on August 22nd this summer. Excited? Not one to usually comment on posters, but these are seriously boring and lack any sort of creativity. I really hope the movie doesn't follow suit.